This work has two distinct sections that oppose and complete themselves at the same time. The first part is a slow march to emphasize with vigour the symbiosis of the ensemble and the second part, double time, constitutes the unbridled craziness, lively and almost uncontrollable. 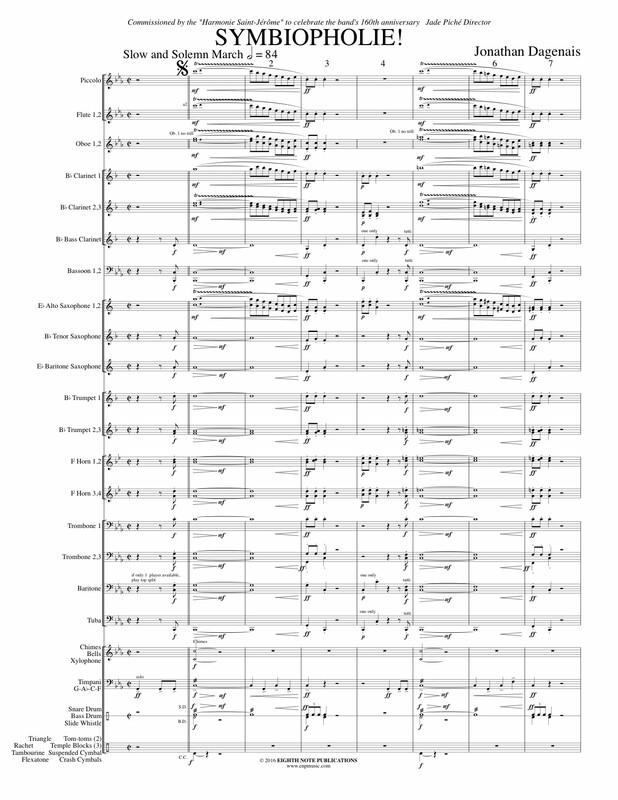 The entire piece mixes together in a style reminding us of the origins of the military fanfares: the march. Colorful percussion and a unique blend of styles make this exciting piece something truly different on a concert or contest.